Anastasia Kostner, originally coming from northern Italy, devotes herself to contemporary dance since young age. Layers of looking at movement and its possible expression, which go beyond language, fascinate her, leading her to artistic statements through performances. She sees dance as a platform of artistic investigation, which can offer surprising ways of communication, interaction and creation. After graduating from two Bachelors of Art about Performance and Movement Research at the Institute of Dance Arts in Linz, Austria, she completed a Postgraduate Study at Laban Center in London. 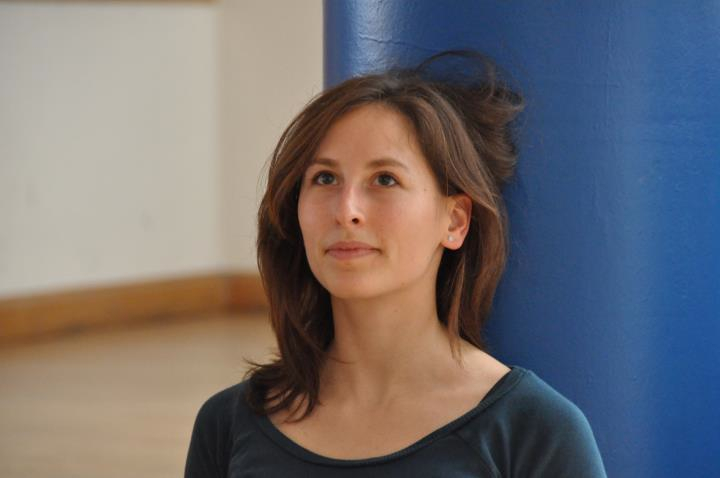 Recently she pursued with distinction a Master of Arst in Contemporary Dance Pedagogy at the Hochschule für Musik und Darstellende Kunst in Frankfurt am Main and started to study Rolfing. She has been actively engaged as a performer, working throughout Europe with choreographers such as Gabriella Maiorino (NL), Les Gents d'Uterpan (FR), Thierry De Mey (BE), Roberto Castello (IT), Jonathan Burrows (UK), Martina Marini (IT), Minke Elisa Brands (NL) and Keren’or Pezard (FR). To understand the underlying nature of movement and dance she investigates into somatic approaches to dance technique. Inspiring fields are Yoga, Alexander Technique, Bartenieff Fundamentals and mainly Rolfing. As a dance artist she is interested in finding a contemporary approach to collaborative work with musicians and visual artists. In the last two years she performed in Resolution! and Evolution! in London, The Gulbekian in Canterbury, Reverie Festival in Ghent, the project All in One-Bach and All in One-Gershwin in Hannover, atTransart, Alps Move Festival and Bolzano Danza in Italy. She choreographed and performed own productions at the Alps Move Festival in Italy, GTF in Gießen and Sommerwerft in Frankfurt. In collaboration with Maarten van der Glas she opened a company Animu Dance, whose first piece was chosen to be part of the Italian platform for young makers Anticorpi XL. Collaborations with musicians and visual artists were shown at Jëunesse Festival in Italy, at Choreographic Captures in Munich, Bloomsbury Festival in London, CaDans Festival in Den Haag, and Dance Camera West in Los Angeles. She taught at the Korea National University of Arts, Seoul and at Hochschule für Musik und Darstellende Kunst Frankfurt am Main.